Are you concerned that your child may have sensory processing issues? 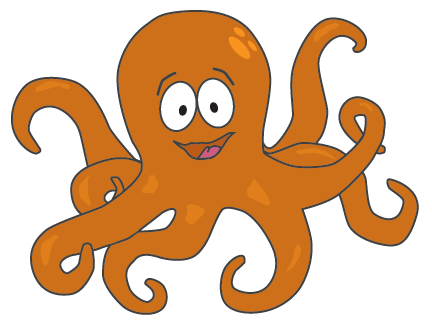 Explore common concerns in children with help from our mascot, Ollie! View Red Flags. Register for a free sensory consult and meet with an occupational therapist to discuss your concerns. Register for Consult. Find organizations, books and online resources to help your child with sensory issues. Get Resources. Each day, we use our senses to learn about and interact with the world around us. From waking up to the smell of coffee to listening to a family member talk about his or her day, our senses help us to navigate our surroundings, understand what is and is not safe and interact with others. We respond to information we take in from our senses through a communication process with our brains. For example, if you touch a piece of sand paper, your fingers send a message to your brain (via your nerves). Your brain identifies the sand paper and determines if it is safe. It then sends a message back to your fingers telling them how to respond. This means of receiving sensory input, identifying and responding to it is called Sensory Processing. For many of us, this communication occurs seamlessly, like cars flowing along an open highway (think of your nervous system as that highway). But for as many as 1 in 6 children(*), sensory processing may be impeded (some even call it a "traffic jam"). Children with sensory processing issues may be "seekers" (individuals who crave additional sensory input), "avoiders" (individuals who are easily overwhelmed and tend to avoid sensory input) or a combination of both (individuals who seek out some inputs but avoid others). Connecting for Kids is committed to promoting sensory awareness in our community and will be distributing kits, including the red flags and an Ollie fidget to children between the ages of 3 and 5 years. If you knit or crochet, please consider helping us to reach more families by donating Ollie dolls. If you're not crafty, we are also looking for contacts with local organizations (Kiwanis, Key Clubs, Scouts, etc.) who would be willing to raise funds to help purchase Ollie dolls. If you are aware of such an organization, please contact us at info@connectingforkids.org.